Lessons run from 8am to 8pm daily. Please call 0115 981 6806 to discuss your requirements. Click here for more information on 'What Will I Learn?'. All our facilities are available to use for riding lessons including the jumping paddocks, cross-country course and games equipment. Short hacks may be incorporated into your lesson if you wish. For more information about hacking with Bassingfield Riding School & Livery please visit the hacking page here. - Own a pony days run in the school holidays. 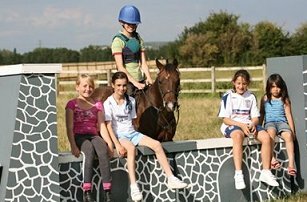 - Children can spend a whole day at the riding school with their friends, learn how to look after the horses and take part in two riding lessons. - At Bassingfield Riding School & Livery we can host events ranging from children's birthday parties to team building exercises. - Please call us to discuss details. - Bassingfield has a range of safe and amenable horses suitable for disabled customers. - Disabled lessons run at Bassingfield regularly for individuals, groups and organisations such as the Thera Trust. 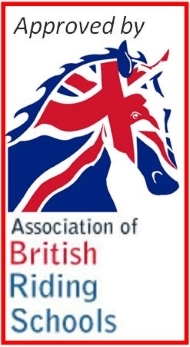 - NVQ training and training for stable management and equitation examinations is available, in the past yeas we have had many students coming and gaining qualifications via us. - These tests are designed specifically for riding school customers of all abilities and are a way of logging your personal progress as a rider. The tests can be taken at Bassingfield. Please speak to Helen for more details. - The ABRS qualifications can be taken all the way to instructor level and above if the candidate is willing to go this far. There is much to do at Bassingfield outside of your riding lesson and many customers like to spend extra time at the riding school either meeting up with friends, enjoying the countryside or helping us out with the horses and the stables.